The Government of Alberta works collaboratively to achieve its vision of an innovative and prosperous province where Albertans enjoy a high quality of life built on a healthy environment, a competitive economy and vibrant communities. To this end, the government is committed to making Alberta the most competitive jurisdiction in North America. Our ongoing support for science and technology will help Alberta maintain a leadership role in the global economy, and attract and develop world class researchers, learners, leaders and innovators. Through support for world class research and innovation efforts, we will transform our economy. Our people are naturally entrepreneurial, and our great Alberta spirit will do the rest. The Alberta government proudly celebrates outstanding achievement within Alberta’s science, research, innovation and technology communities and supports their role in enhancing quality life opportunities for all Albertans. Alberta Economic Development & Trade supports the Outstanding Leaders of Tomorrow Award which provides a cash prize of $10,000 to the winner. Bennett Jones LLP is an internationally recognized Canadian law firm. Bennett Jones LLP invests in ASTech because we see the positive impact ASTech provides to Alberta and Albertans, helping make our province more attractive for science, technology and related business investment; enhancing skilled worker recruitment; and in attracting and inspiring leaders in science, technology and business. Calgary Technologies Inc. (CTI) accelerates the impact of Calgary’s innovation-driven ventures by providing access to programs, space, mentorship and capital. From first time entrepreneurs to established businesses, our advisors, coaches and partners are here to help in each stage of startup and business development. 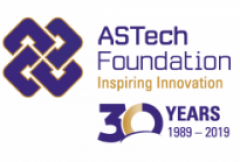 CTI is a proud Sustaining Member of the ASTech Foundation, helping to celebrate and recognize the people behind the innovations that continuously improve our lives and the way we do business. 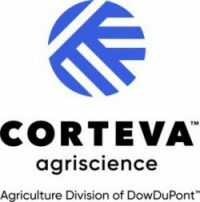 Corteva Agriscience, Agriculture Division of DowDuPont looks at participation with ASTech as a key investment in our community and affords us the opportunity to celebrate some of the astounding research and innovation achieved in Agricultural Sciences for the well-being of society. Corteva Agriscience sponsors the Outstanding Achievement in Agricultural Innovation Award which provides a $10,000 cash prize to the winner. NAIT aspires to be the most relevant and responsive post-secondary institution in Canada and one of the world’s leading polytechnics. NAIT produces an exceptional skilled workforce, aligned directly to industry needs to create enterprises that compete worldwide. In 2017, NAIT sponsors both the Outstanding Leadership in Alberta Technology Award and the Outstanding Commercial Achievement in Alberta Science and Technology Award. The JR Shaw School of Business sponsors the Outstanding Science and Technology Start-Up Award. Each sponsored award comes with a $10,000 cash prize for the winner. SAIT is a leader in applied education, world-renowned for its training expertise and for providing skilled employees to the energy sector and other industries. SAIT’s Applied Research and Innovation Services department was launched in 2003 to help industry partners take new technologies to market. With 35,000 square feet of specialized research facilities, over 40 full-time researchers, and a strong track record for grant awards – SAIT is the applied research partner of choice for over 200 organizations a year. SAIT sponsors the Outstanding Achievement in Applied Technology Award which comes with a $10,000 cash prize for the winner. Driven by its vision to lead and knowledge to succeed, Syncrude is focused on innovation to enhance environmental performance, improve reliability, reduce costs and improve safety. Syncrude Research and Development (R&D) scientists, engineers and technologists continue to push the limits in oil sands development. This dedicated team has been pioneering innovative technologies and creative solutions even before Syncrude produced its first barrel of oil in 1978. The oil sands operator among the top 50 R&D spenders in Canada for the last 15 years and runs one of the largest private-sector research programs in Western Canada. Since 2011, Syncrude has invested more than $660 million on oil sands research and development projects, more than half of which is focused on environmental research. Syncrude is proud to sponsor the Energy and Environmental Innovation Award that celebrates those who are helping shape our industry’s future by meeting today’s challenges. By unleashing the power of innovation in others, TELUS is enabling remarkable outcomes in our communities and improving people’s lives through the power of technology. We passionately believe that charitable giving decisions should be owned locally. Since 2000, TELUS team members and retirees have contributed more than $125 million and 2 million volunteer hours to charitable and community organizations throughout Alberta communities, and through the power of this collective, we are driving social change for the betterment of us all. TELUS sponsors the Outstanding Achievement in Information and Communications Technology Award which provides a $10,000 cash prize to the winner. The University of Alberta is one of Canada’s leading research universities. We are home to advanced research and teaching facilities, over 170 graduate programs and 200 undergraduate programs, and we maintain a strong innovation and tech transfer record that includes 88 active spin-off companies. Through discovery, creativity and innovation, our scholars promote prosperity and improve quality of life. The University of Calgary is proud to celebrate and showcase our outstanding research leaders and the innovations in science and technology that are critical to shaping Alberta’s future. The University of Lethbridge is Canada’s destination for all who seek a liberal education-based university that inspires research-informed teaching and learning, creative discovery, and community engagement. WorleyParsons delivers projects, provides expertise in engineering, procurement and construction and offers a wide range of consulting and advisory services. We cover the full lifecycle, from creating new assets to sustaining and enhancing operating assets, in the hydrocarbons, minerals & metals, chemicals, power and infrastructure sectors. We help our customers meet the world’s changing resources and energy needs, thereby creating value for our shareholders. WorleyParsons is committed to sustained economic and social progress, creating opportunities for individuals, companies and communities to find and realize their own futures. We are a proud supporter of ASTech and view our collaboration as a valuable contribution to continued innovation leadership in support of a prosperous future for Albertans.